I’m interested in this work. Could you please confirm its price and availability? Thank you. Santa Fe, New Mexico native and current Brooklyn resident while teaching in upstate New York at Bard College, painter, printmaker, and general contemporary artist Nicola Lopez focuses primarily on the urban landscape. This came from her constant traveling during her undergrad years as an Anthropology major at Columbia University, allowing her to be exposed to countless cultures, lifestyles, and cities all across the world that helped her develop unique drawing, printmaking, and installation pieces. Currently, Nicola Lopez is most well-known for her pieces that happen to be her expressionist and abstract “Ubran Transformation” artwork, which utilize a mixture of earthy and gray scale colors in a variety of lines and patterns that truly invoke the spirit of abstract. Just like how an urban landscape is considered busy, with stark color, and “loud,” so is Lopez’s artwork. Just in the 2000s alone, Nicola Lopez has had her work exhibited and placed permanently in galleries, predominately in California and the west coast, but also internationally throughout Mexico and Europe. 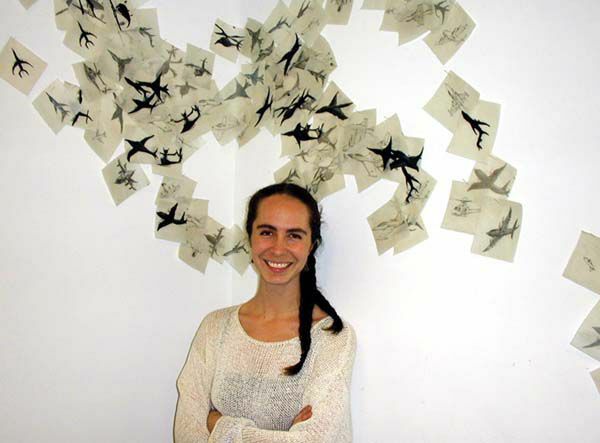 On top of consistently working on abstract urban sculpture and illustrations, Nicola Lopez also diligently went to school and worked in collaborative spaces thanks to loans and scholarships. After graduating with her bachelors, she eventually went back to school at Columbia University for her Masters of Visual Arts. On top of that, she also attended the prestigious Skowhegan School of Painting and Sculpture and many residency programs in California and Mexico. Her printmaking and sculpture alike have been molded into their own unique take on the urban look that she has become so acquainted with throughout her stint with residencies and schools. Nicola Lopez had her first solo exhibit for her “Urban Transformation” pieces throughout 2009 and 2010 at both Madison, Washington and Morgantown, Virginia. Her most recent work can be found at the illustrious Guggenheim as well as the Atrium Gallery in Los Angeles and the Indianapolis Museum of Art in Indianapolis. Nicola Lopez continues to create highly abstract pieces of art as well as more structure illustrations of urban installments such as bridges and high rises. Nicola Lopez focuses primarily on installations and sculptures, on top of her printmaking and illustration. This is a refreshing change among the abstract paintings that can be found by fellow artists in the community. 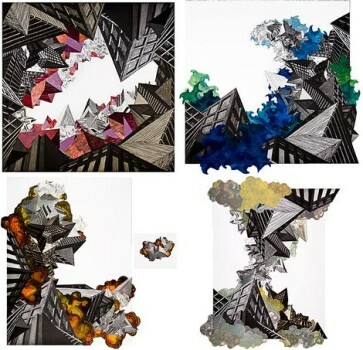 Her work also brings a unique voice to the urban tone that can be found in abstract work, especially for those looking for something that matches their own taste in urban culture and lifestyle. 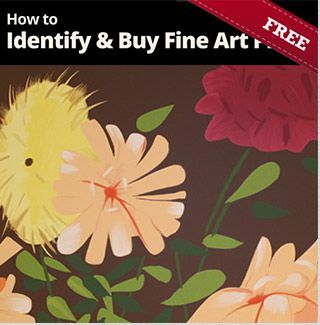 Only a portion of our Nicola Lopez Prints are represented online. Please contact us if you are looking for something special. We believe that the more you know, the more you will appreciate fine art prints.